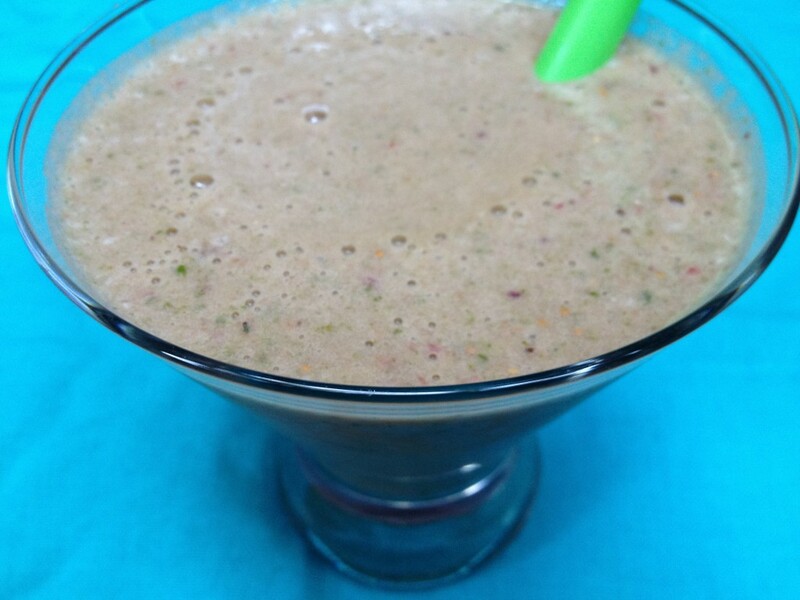 Another great Moni Smoothie. Fig Newtons-(bleh!) got nothing on me! I had so many figs recently so this is how this smoothie came about. Not only is it completely good for you, loaded with amazing nutrient's, but it is also super tasty! I am not scared of fruit as you will see. I pack it all in! A great way to start your day or a perfect snack any time. What kid would not love this too!? You could also call it a pre or post workout shake too. Just add in your favorite protein powder - I like Vega. 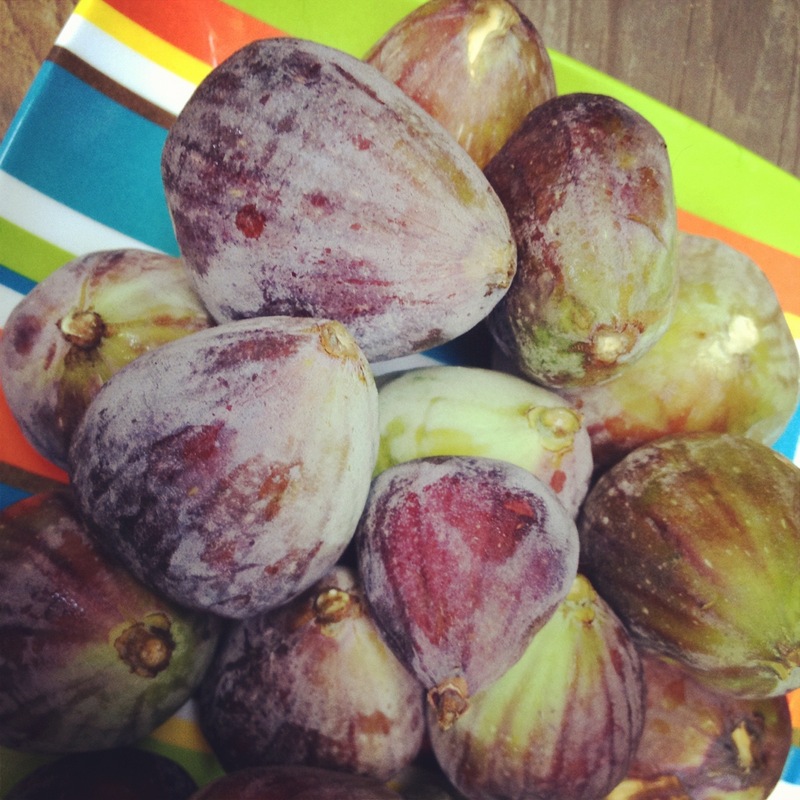 NOTE: Figs are in their prime season during the summer into early Fall so make this asap for the freshiest of fresh! Loaded with fruit, fiber, and Protein. Also try my "Orignal" Green Moni Drink! Do you love Figs? Also try my Moni Chocolate Dipped Fig Kisses! Enjoy. Place the 8 ounces of milk (or water) in the blender- a Vitamix is great if you have! (or use milk of choice. Add the figs, pineapple, strawberries, and apple. Blend. Now add the spinach, protein powder, 1 stevia packet (optional), and the hit of lemon juice. Place the ice on the top. Blend again. Pour into a glass and if you have it- add a groovy straw. Enjoy! I simply want to tell you that I am just beginner to blogging and site-building and actually liked your web page. Very likely I’m planning to bookmark your blog . You surely have very good well written articles. Thank you for revealing your blog site. I just want to tell you that I’m newbie to blogging and certainly liked you’re blog site. Likely I’m planning to bookmark your website . You really come with awesome article content. Thank you for revealing your website. I simply want to mention I am just newbie to blogging and site-building and definitely loved this website. More than likely I’m going to bookmark your blog post . You surely have superb stories. Kudos for sharing with us your blog. I just want to mention I am beginner to blogs and absolutely savored your web blog. Very likely I’m planning to bookmark your site . You amazingly have wonderful article content. Cheers for revealing your blog site. I simply want to tell you that I am just all new to blogging and site-building and truly enjoyed you’re website. More than likely I’m likely to bookmark your blog post . You amazingly have perfect well written articles. With thanks for sharing with us your web-site. What’s Happening i am new to this, I stumbled upon this I have found It absolutely helpful and it has aided me out loads. I hope to contribute & assist other users like its aided me. Great job. You really make it seem really easy with your presentation however I in finding this topic to be really something which I feel I would never understand. It sort of feels too complex and extremely huge for me. I am taking a look ahead to your next publish, I will try to get the hang of it! I just want to say I am just very new to blogs and actually savored you’re page. More than likely I’m likely to bookmark your site . You certainly come with impressive well written articles. Regards for sharing your web site. I simply want to tell you that I’m new to blogging and absolutely enjoyed you’re blog. More than likely I’m want to bookmark your blog post . You amazingly come with very good well written articles. Thanks for sharing with us your blog site. I simply want to tell you that I am very new to blogging and site-building and certainly loved your blog. Probably I’m want to bookmark your website . You surely have tremendous articles and reviews. Bless you for sharing your blog site. I just want to mention I am newbie to blogs and absolutely liked your page. Probably I’m going to bookmark your website . You really come with amazing writings. Cheers for sharing your website page. I just want to say I’m new to weblog and definitely enjoyed your page. Likely I’m going to bookmark your blog . You certainly come with very good article content. Bless you for revealing your web site. I just want to say I am newbie to blogging and site-building and definitely savored you’re web page. Probably I’m likely to bookmark your blog post . You really come with amazing stories. Cheers for revealing your website. F*ckin’ amazing issues here. I’m very satisfied to look your article. Thank you so much and i am looking forward to touch you. Will you please drop me a mail? I simply want to mention I am all new to blogs and honestly loved your blog. Very likely I’m likely to bookmark your blog post . You amazingly come with very good well written articles. Appreciate it for sharing with us your webpage. I simply want to mention I’m newbie to weblog and certainly savored you’re web site. More than likely I’m want to bookmark your website . You actually come with really good articles. With thanks for sharing your website. Hello my friend! I wish to say that this article is amazing, great written and come with almost all vital infos. I would like to peer more posts like this.